Includes tuition, instrument hire & lunch. Includes tuition, instrument hire, lunch, evening meal and tutors' concert. Fully Booked. Please contact us if you’d like to be notified in the event of a cancellation. Come and try the Northumbrian Smallpipes in this special taster day for absolute beginners! Led by Francis Wood, we’ll have simple sets of teaching pipes available, designed for beginners. This is an excellent opportunity for those who enjoy the gentle sound of small pipes and would like to learn a little about their technique, repertoire and history. You don’t need to own, or bring, a set of pipes, sets of teaching pipes are available. Designed for beginners, these are simple sets in ‘G’ without keys, and are a modern interpretation of the original form of Northumbrian smallpipes on which the earliest traditional repertoire is based. 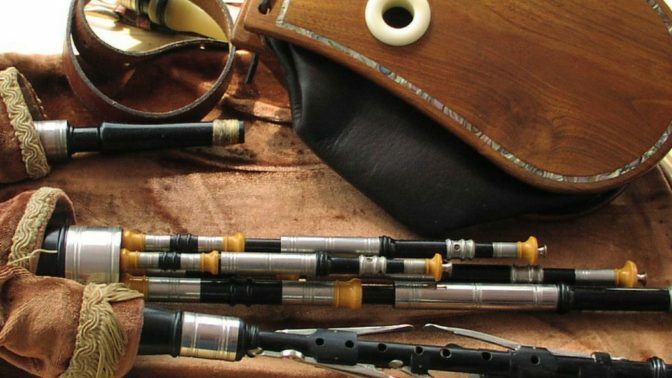 This is an excellent opportunity for those who enjoy the gentle sound of smallpipes and would like to learn a little about their technique, repertoire and history.